Syngene has ntroduced a new Epi UV HI-LED lighting option for its popular G:Box Chemi and G:Box mini multi-application gel and blot imaging systems. These environmentally friendly lights allow faster workflow and more accurate results when imaging a diverse range of fluorescently labelled proteins on gels and blots. With an excitation wavelength of 365nm, the Epi UV HI-LED lights transform the systems into higher-performance imagers capable of detecting Sypro Ruby labelled proteins, colonies and proteins labelled with wtGFP, as well as fluorescent proteins on TLC plates. Since the new lighting is around 200 times more intense than standard LEDs, exposure times are shorter, which means G:Box systems are excellent for rapidly imaging complex multiplex fluorescence blots, 1D and 2D gel applications. Featuring up to 100,000 hours' service life, the eco-friendly lighting is automatically controlled by GeneSys software via an intuitive, icon-driven set up. 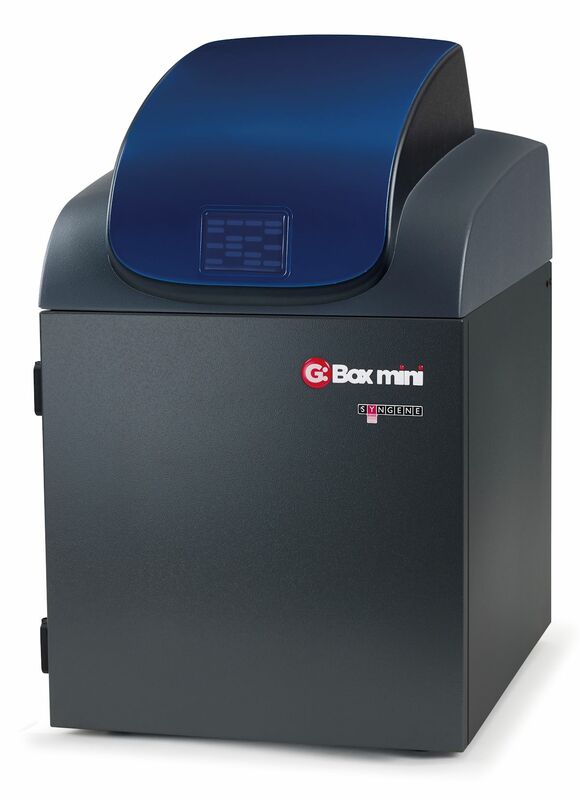 This lighting and G:Box combo, with its real-optical imaging, provides impressive resolution and sensitivity, allowing scientists to accurately visualise close bands; precisely detect DNA and proteins down to the femtogram level, and enjoy great publication-quality images every time.